With empathy and political intrigue, this is a gripping story of two women from different worlds who become inextricably bound in a quest to save their loved ones. 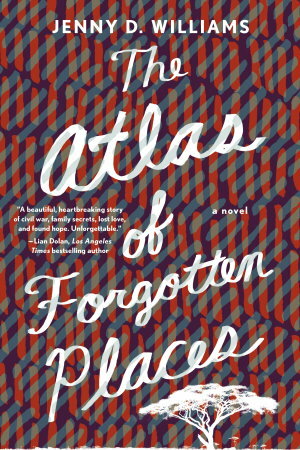 The Atlas of Forgotten Places is that rare novel that delivers an exquisite portrait of family and love within a breathlessly thrilling narrative. After a long career as an aid worker, Sabine Hardt has retreated to her native Germany for a quieter life. But when her American niece Lily disappears while volunteering in Uganda, Sabine must return to places and memories she once thought buried in order to find her. In Uganda, Rose Akulu―haunted by a troubled past with the Lord’s Resistance Army―becomes distressed when her lover Ocen vanishes without a trace. Side by side, Sabine and Rose must unravel the tangled threads that tie Lily and Ocen’s lives together―ultimately discovering that the truth of their loved ones’ disappearance is inescapably entwined to the secrets the two women carry.